A new paper published today by the Global Warming Policy Foundation explains how statistical forecasting methods can provide an important contrast to climate model-based predictions of future global warming. The repeated failures of economic models to generate accurate predictions has taught many economists a healthy scepticism about the ability of their own models, regardless of how complex, to provide reliable forecasts. Statistical forecasting has proven in many cases to be a superior alternative. Like the economy, the climate is a deeply complex system that defies simple representation. Climate modelling thus faces similar problems. 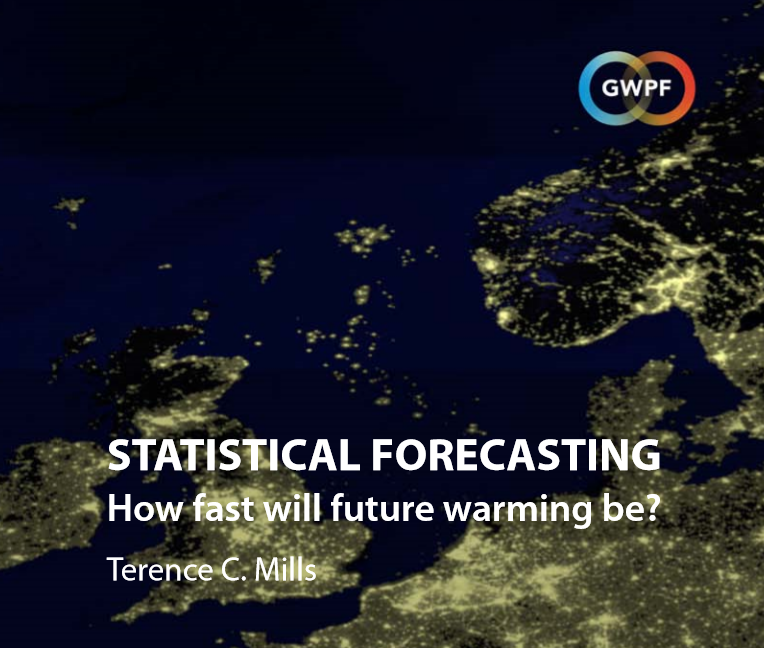 In this new paper, Dr Terence Mills, Professor of Applied Statistics and Econometrics at Loughborough University, explains how statistical time-series forecasting methods are being applied to climatic processes. His conclusion that statistical forecasting methods do not corroborate the upward trends seen in climate model projections is highly important and needs to be taken into consideration. The topic has direct bearing on policy issues since it provides an independent check on the climate-model projections that underpin calculations of the long-term social costs of greenhouse gas emissions.